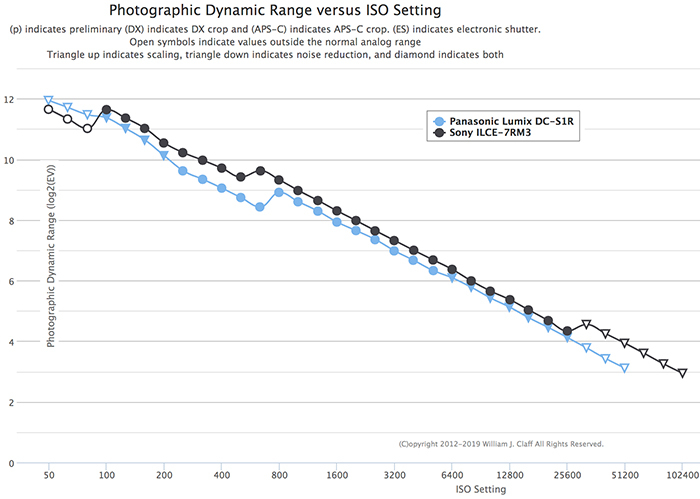 Photonstophotos posted their full Dynamic range test results for the new Panasonic S1R. The S1R seems to hold up well with the class leader. At ISO 50 it’s ahead while it’s behind in the 100-400 ISO range. At ISO 800 up to ISO 25,600 difference is marginal.